On Thursday 4/30/15, Bob DePino contacted the Governor’s office to find out when the soonest S.141 would be addressed by the Governor. The Governor’s office staffer “Jeff” was informed he had a petition to deliver opposing S.141. Early the NEXT MORNING the Governor SIGNED S.141 in PRIVATE behind CLOSED DOORS. On 5/6/15 over 1,500 signatures were delivered to Governor Shumlin opposing S.141 with the message we were “disappointed”. Where are those 300 gun owners in ORANGE that braved the ice and snow in January to meet at the Capitol? Where are those 700 hearty souls in ORANGE that stood in the Capitol in February? 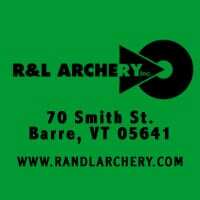 What has happened in the state of Vermont? Has “the gods of the valley are not the gods of the hills, and you shall understand it” fallen upon deaf ears? Or, has the resolve of Vermonters been so eroded by corruption that no one has any faith left in our elected leaders to make the right decision without being constantly inundated with calls? Gun owners across the state of Vermont have ONE CHANCE LEFT to stop S.141 from being signed by Governor Shumlin. SPEAK UP OR FOREVER HOLD YOUR PEACE. If S.141 passes into law, gun control bills will cascade down from Montpelier. The anti-gun forces are already pushing for expanded regulations on PRIVATE shooting ranges. It is the LAST TIME to stand up for the independent spirit Vermont is known for. Today, take 5 minutes and contact the Governor! Either way, OR BOTH, make sure to leave your name, town and phone number in your message! Let’s give the Governor the support he needs to STOP S.141 NOW! FRIDAY IS THE DAY TO STOP S.141! If you don’t make the effort, BLOOMBERG WINS in Vermont by default. PS: 7,000 signed letters were delivered to Governor Shumlin’s office on April 10. Where are they now? This entry was posted in bills, News and tagged Gun control, S.141. Bookmark the permalink. Public Hearing on S.169 at Vermont State House on Tuesday, April 2 from 4 PM to 7 PM. 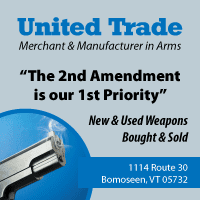 Copyright © 2019 Gun Owners of Vermont. All rights reserved. Admin Login.